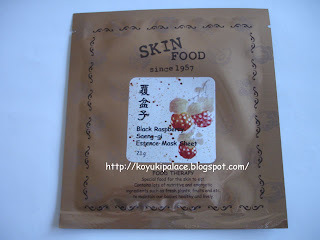 According to the instructions, this mask contains 12 differents kinds of medicinal herbs, jayangboeumdan and cheongyeondan to supply nutrients to your skin. 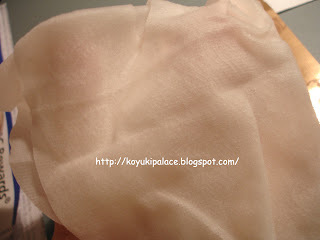 The mask sheet itself it made with superior cotton. Although it contains many tiny holes, its rate of penetration into your skin is high! increasing the rate of absorption. It also contains hydrolauronic Acid which increases and locks moisture to your skin. There's lots of essence in the mask, enough for the face, arms, legs.... or you can even put it back into the original packaging, put it in the fridge and use it for a second time.